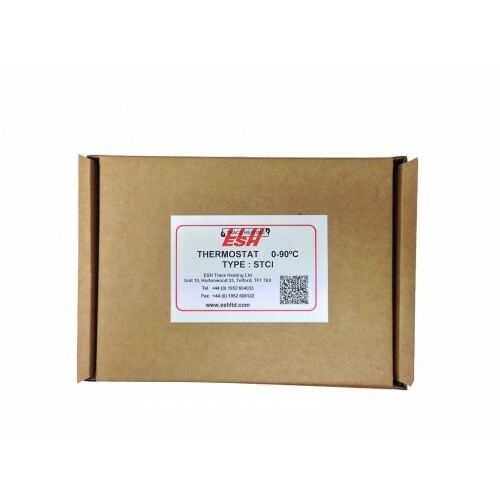 Although very similar in design to the STC, the STCI thermostat is designed for frost protection and temperature maintenance applications where visible operation of the trace heating system and thermostat set point is required. 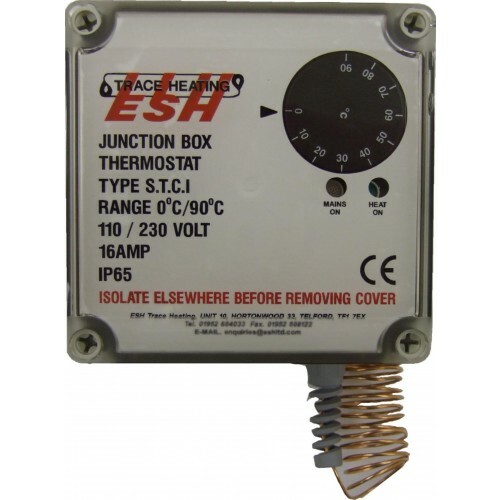 Industrial junction box / thermostat units designed for the termination and temperature control of electric trace heating systems and other industrial applications. 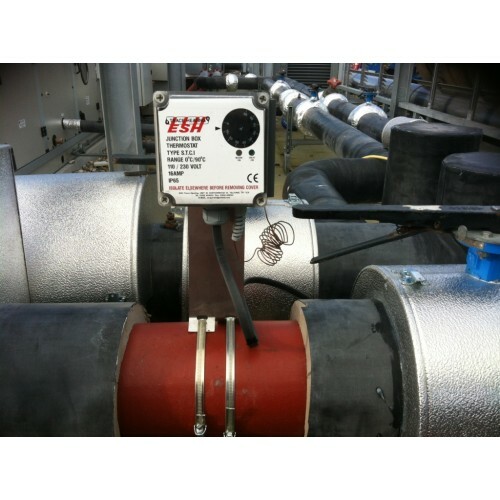 They can be used for frost protection and process temperature maintaining of pipework and storage tanks. 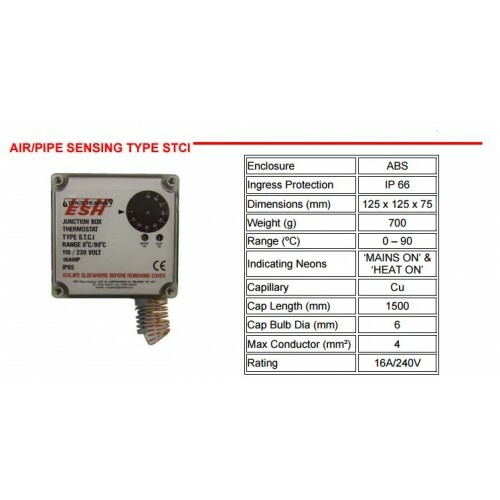 Units may be used as an air sensing or pipe sensing thermostat. The unit is supplied in the air sensing mode with capillary bulb fixed to the enclosure. Removal of the bulb from the housing tube converts the unit to pipe sensing. Type STCI has a transparent lid which allows the user to see the temperature set point without opening the unit. The unit is also fitted with indicating neon's that show 'MAINS ON' and 'HEAT ON'. STCI units are fitted with sufficient terminals to accommodate up to two heating circuits and the temperature can be set by removing the front cover and rotating the control dial to the required set point.